The Suez Canal revenues amounted to $506.1m in October, compared to $469.7 during October last year, an increase of 7.75% month-over-month according to a governmental press statement on Friday. 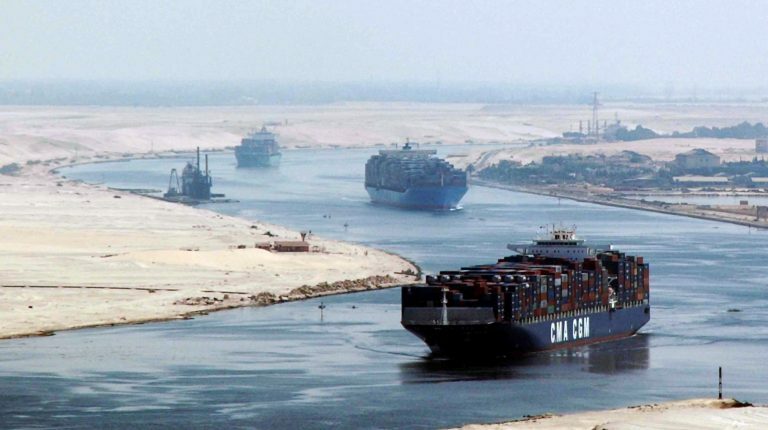 Meanwhile, a recent official report issued by the Central Agency for Public Mobilization and Statistics (CAPMAS) revealed that the revenues of the Suez Canal during the first eight months of this year, amounted to EGP 67.5 bn. “May and August 2018, were the highest in terms of value of revenues this year, where the Suez Canal achieved revenues each month worth EGP 8.9 bn,” according to the report. Moreover, the chairperson of the Suez Canal Authority and the Suez Canal Economic Zone, Mohab Mamish, declared earlier that Suez Canal revenues recorded $5.6bn during the fiscal year(FY) 2017/18, increasing by $600 m or 11% year over year. Notably, the Egyptian government is targeting Suez Canal revenues to increase to EGP 32.96bn by the end of the current FY.